As a direct follow-up to yesterday's Primer Lightning McQueen post, today I'm taking a look at yet another brand new Mattel Cars 3 1:55 scale diecast...Intro Ramone! 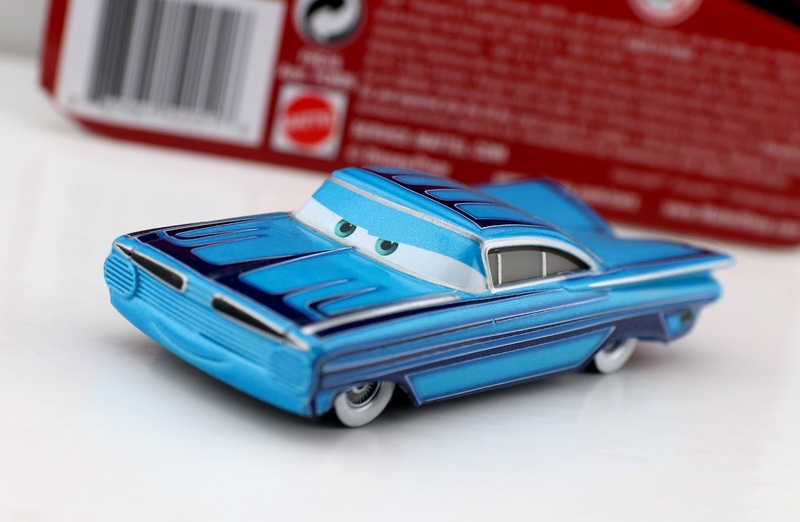 And once again, this release is part of the 2018 Toys R Us exclusive "Radiator Springs Classic" collection. 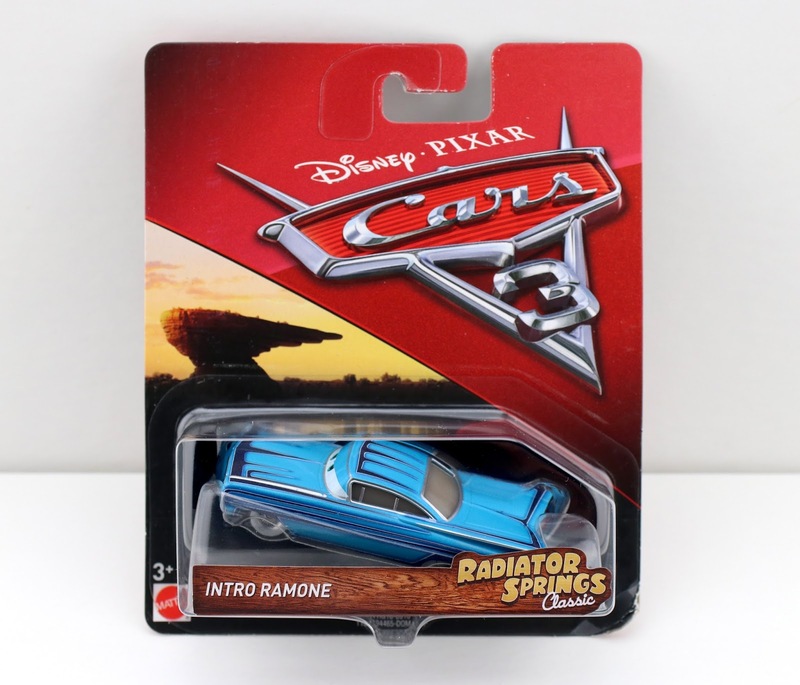 This is Mattel's first ever 1:55 scale release of a Cars 3 inspired Ramone. That's right! Out of all the characters released last year, Ramone was not one of them. As shown in the screenshot above, Ramone briefly appears this way during the short revisit to Radiator Springs after McQueen's big crash (about 15 minutes into the film). Interesting that they named him "Intro Ramone", since he's not really in the film's intro—but I guess I get it—it's towards the beginning. At the end of the film, Ramone appears in his Florida paint job, which is also just being released now as part of Mattel's 2018 mainline (look for that review soon). I really like Ramone's blue paint job! This is actually the only time we ever see Ramone with a blue color scheme in all three films. The only other time Ramone was blue was during the direct to DVD short, Mater and the Ghostlight (see the diecast for comparison HERE). Visit your local Toys R Us to check for availability! As of right now, Toys R Us is currently doing a 5 Cars diecasts for $15 sale, so definitely go take advantage of that. You can also check current eBay listings HERE or Amazon using the link below. Let me know what you think and happy hunting!